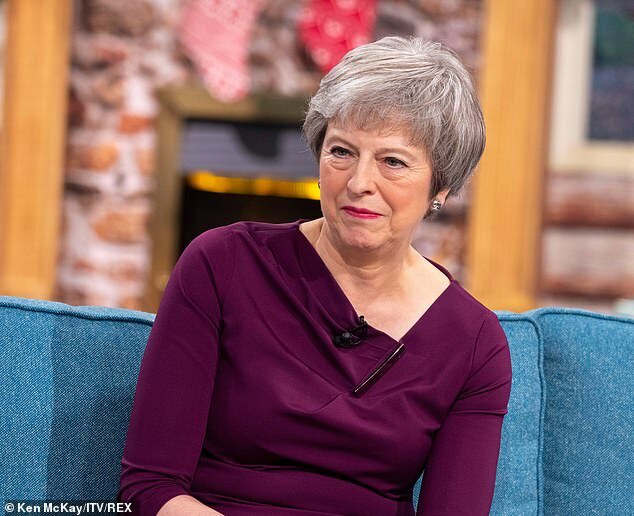 Theresa May joked Jeremy Corbyn’s Brexit TV debate plan would mean she misses Strictly Come Dancing – just days after the Labour called for the showdown to be early enough he could watch the I’m a Celebrity final. The PM’s jibe at Mr Corbyn today after Downing Street accused the Labour leader of ‘running scared’ of a head to head clash. 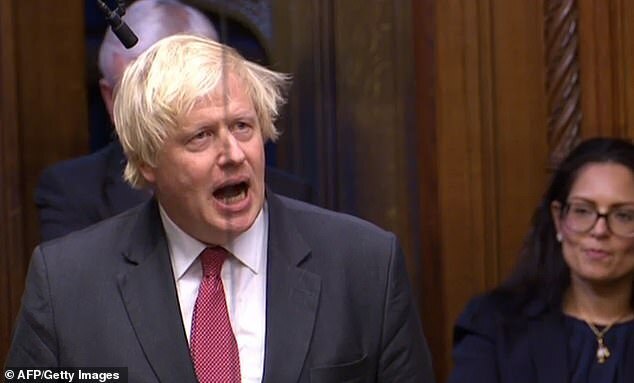 Both leaders have backed a debate on Sunday night – two days before the crunch vote on Mrs May’s Brexit deal in the Commons – but failed to agree on format. Mrs May wants the debate on BBC One and has accepted the broadcaster’s idea of a head-to-head debate alongside questions from a panel. 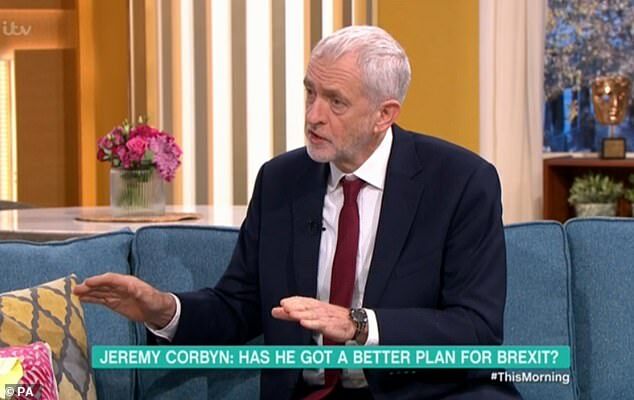 Mr Corbyn had backed an ITV plan of a simple one-on-one contest. He has accepted this could be on the BBC but wants the simpler format. There are growing doubts as to whether the debate would take place at all amid continued wrangling over the format. Mrs May told This Morning she was ‘keen’ to take part in a debate. She said: ‘There are discussions about where exactly it is going to be. ‘There are variations on this. I think he said he wanted to be on ITV so he could watch the final of I’m a Celebrity. Earlier, a Number 10 spokesman said: ‘A week ago, the PM challenged Jeremy Corbyn to a head-to-head debate. He accepted. ‘Since then, in order to accommodate his confected demands, we’ve moved our preferred day, accommodated the addition of social media questions at Labour’s request, and agreed there should be maximum head-to-head time, while still including voices from employers and civil society in the debate. ‘But if Jeremy Corbyn doesn’t agree to what’s now on the table – a debate on prime time with the Prime Minister – the public will rightly conclude he’s running scared. But Labour hit back, arguing it was the Prime Minister who was trying to avoid the confrontation. ‘As she did during the general election campaign, Theresa May is running away from the scrutiny of a real head-to-head debate with Jeremy Corbyn,’ a spokesman said. ‘Why else would she not accept ITV’s offer of a straightforward head-to-head debate, as Jeremy has done? In a statement issued over the weekend, the BBC said: ‘Our proposal is to broadcast a programme which includes both a head-to-head debate between the Prime Minister and the leader of the opposition and also an opportunity to hear from a wider range of voices. Meanwhile, leading Tory Eurosceptics are warning that the BBC’s planned leaders’ TV debate will ‘breach the concept of impartiality’ unless it involves a prominent Brexiteer. However The Daily Telegraph reported Boris Johnson, Dominic Raab and other former Cabinet ministers have written to BBC chairman Sir David Clementi to complain the views of the 17.4 million people who voted for Brexit would be ‘nowhere represented’ in the discussion. They said that a senior Brexiteer should be included in the main line-up and not just on a proposed panel. ‘This is, after all, not a general election and the Government or the opposition cannot be allowed to play fast and loose with representative democracy,’ they said. If agreement cannot be reached, the leaders could well try to press ahead with separate programmes. Channel 4 is planning to steal a march by staging its own debate with other high-profile Brexiteers and Remainers. Mr Johnson last week condemned the idea of a head-to-head showdown between Mr Corbyn and Mrs May, saying they were both Remainers. 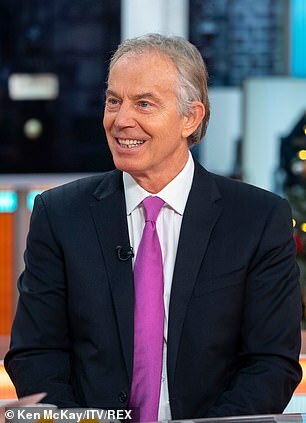 However, friends of the former foreign secretary have made clear he is not interested in the ‘second string’ clash – and the Remain camp would be unwilling to field Mr Blair.